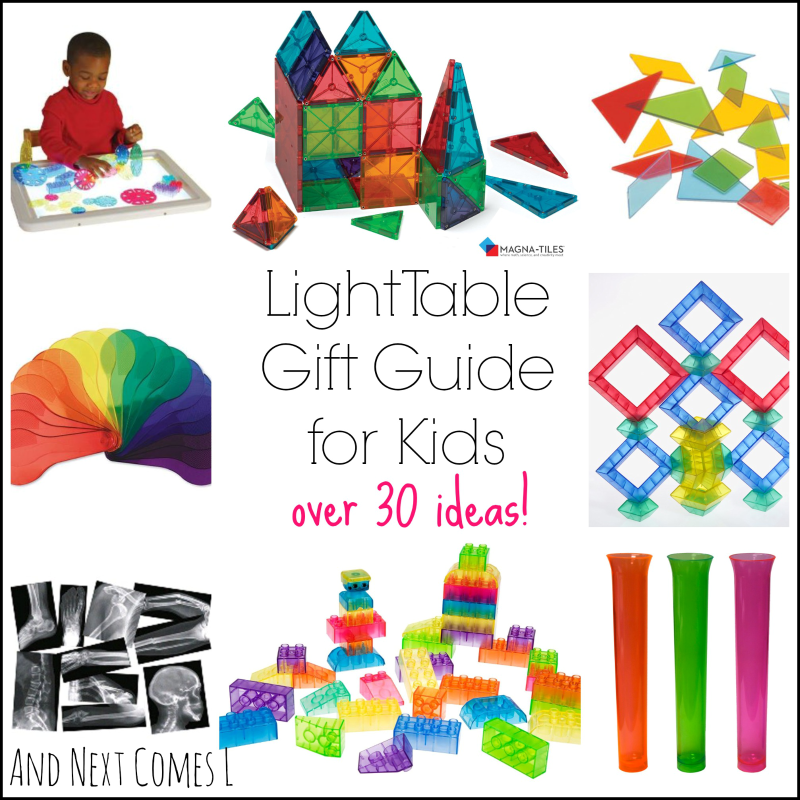 I have put together what I am going to call the ultimate light table gift guide for kids. It is filled with nearly 40 store-bought ideas, but you will also find lots of additional homemade alternatives throughout. Then you will be prepared to spend countless hours enjoying light table play, just like we have! There's lots of variety when it comes to light tables. You can purchase a light panel or use a small tracing table as a light box. We actually used this particular light box up until we built our own light table. Another option is this beautiful light table with storage underneath. 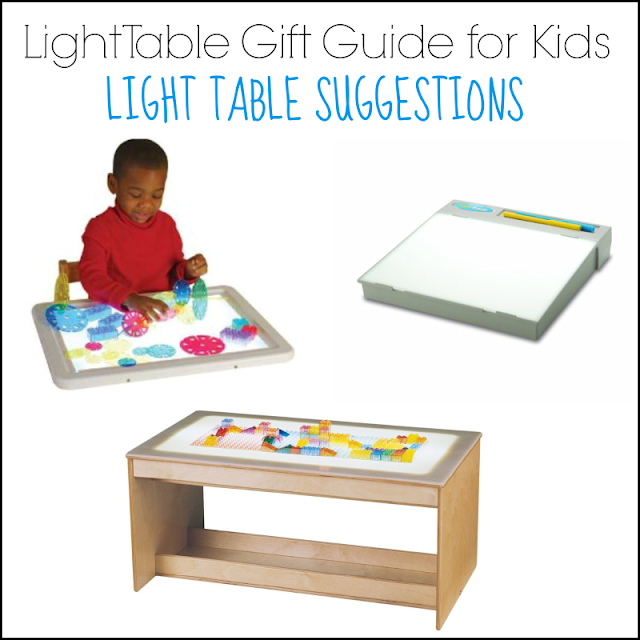 Finally, you can always build your own light table like we did. You can read my full tutorial here. Building on the light table can be so much fun! 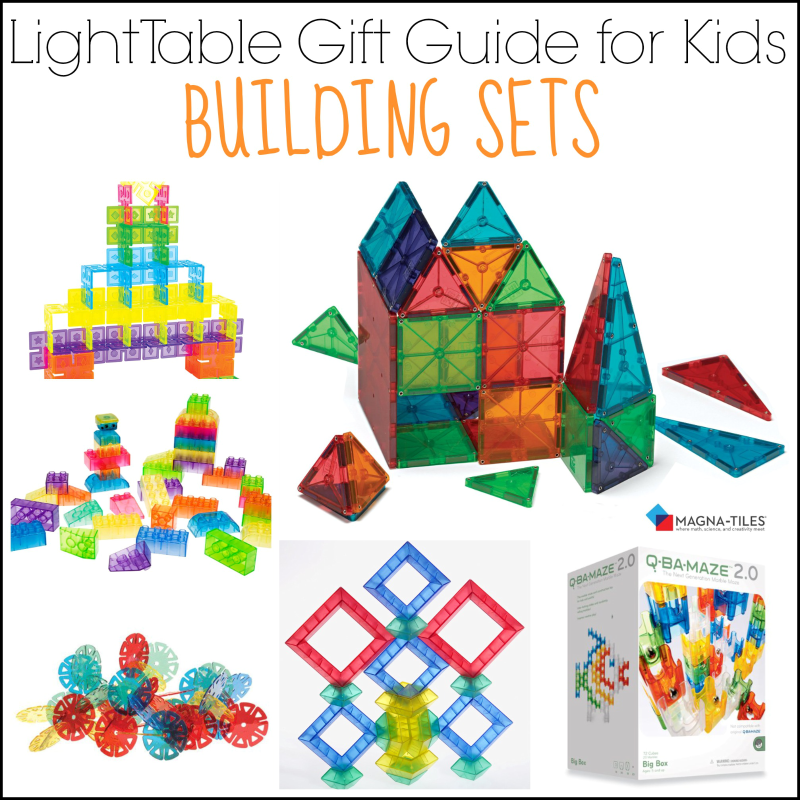 I really want a set of Magna-Tiles for our light table so they are definitely on the boys' wish list this year. However, the Q Ba Maze looks like a fun mix between Lego blocks and a marble run, which I am sure the boys would get a kick out of. Some other great building sets to consider are Wedgits, slotted connectors, translucent blocks, and Interlox. 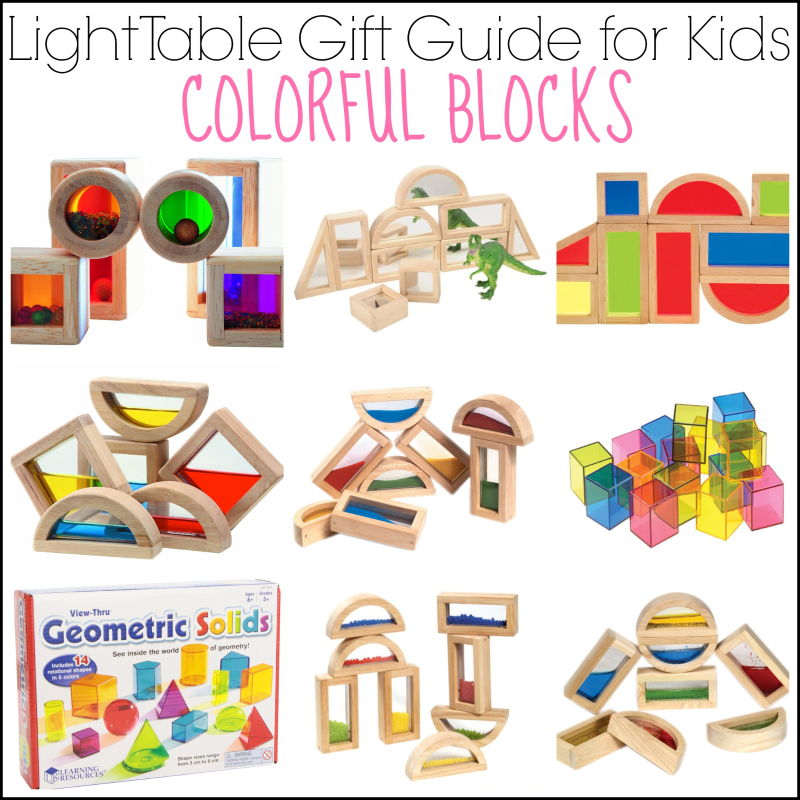 There are so many wonderful blocks that would look amazing on the light table. I especially want some mirror blocks for the boys! Spark your child's imagination with some fun light table play. 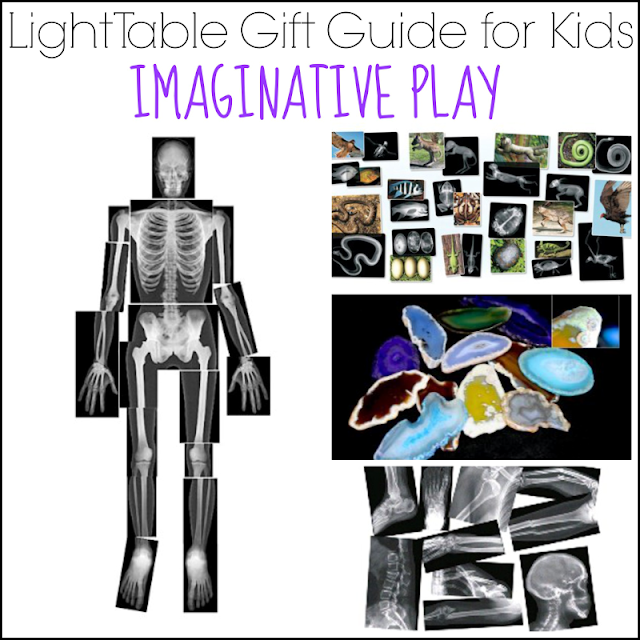 Be a doctor and check out some human body x-rays or even some broken bones too. Or how about a veterinarian? These animal x-rays would be a lot of fun. Or maybe your kid wants to be a geologist? Then these agate slices would be a perfect fit! We have done some imaginative play on our light table before, such as this frog pond small world. The boys love to use their letter magnets on the light table. They may not be transparent, but the glow from the table shines through and enhances the color of the letters. 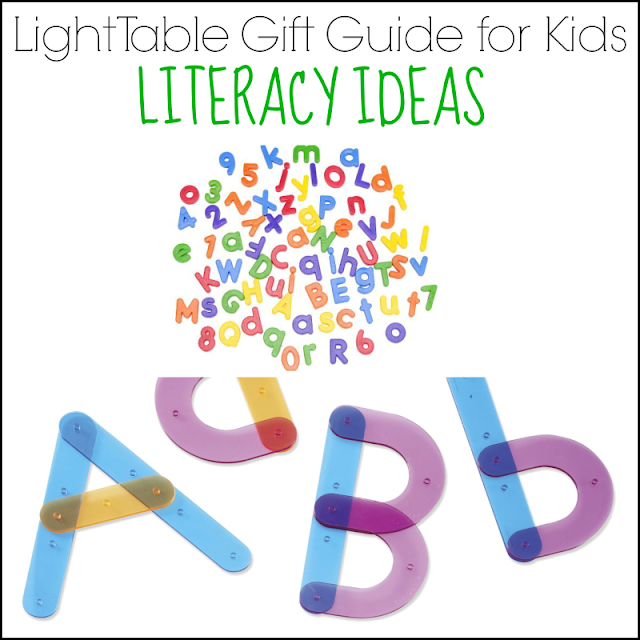 My boys would also love to build letters on the light table with this letter construction set. How about some DIY literacy ideas? Check out these homemade letter stones and transparent letter manipulatives. 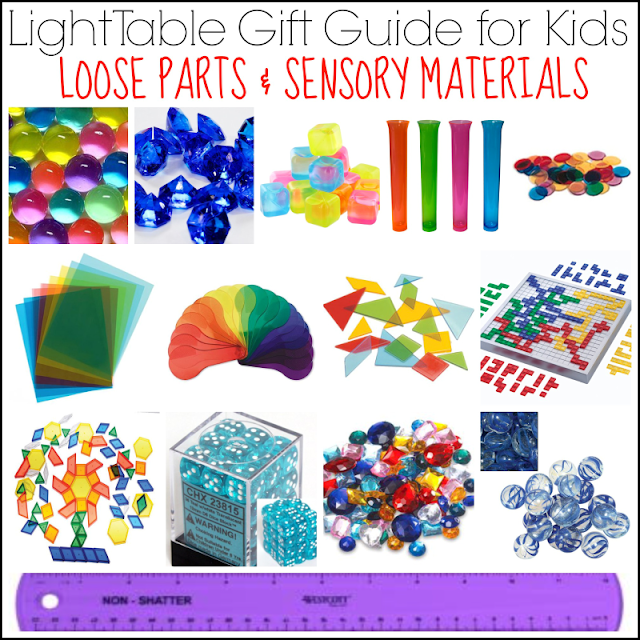 There are so many wonderful manipulatives that can be used on the light table and often, I just browse the dollar store and craft stores for anything translucent. You'd be surprised what you might find! Loose parts are wonderful encouraging open-ended play and there are so many to choose from. We probably favor glass stones the most, but we have made use of many items from this list. Those x-rays would be a lot of fun, wouldn't they?! Ha! You should see our playroom and how overrun it is with light table goodies!